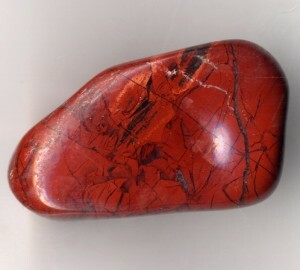 Red jasper. This photo does not show Caineville area jasper. Photo taken by Adrian Pingstone, Wikimedia Commons. Agate, chert, and jasper are varieties of microcrystalline or cryptocrystalline quartz (quartz having crystals that are too small to be detected with a hand lens) that have either a waxy or a dull luster. They can form in different ways; one of the most common is through groundwater action by the leaching of highly siliceous rocks, filling rock fractures and cavities, and recrystallizing. Petrified wood is fossil wood in which the organic material has been replaced by cryptocrystalline quartz during the process of fossilization. Much of the delicate structure of the wood is preserved because of the small crystal size. More than 100 million years ago, the area near Capitol Reef National Park was alternately covered by water from oceans, streams, and lakes in which muds, silts, sands, and mixtures of sediment were deposited. These sediments eventually became mudstones, sandstones, and conglomerates; cavities in these rocks were later filled in with the quartz. Weathering of these rocks has released the agate, chert, and jasper that now are scattered on the terrain. These ornamental rocks are attractive for their colors, shapes, or as mementos of the geologic past. From Caineville, travel 8.5 miles west on Utah Highway 24 to where the road crests over a pass. At this spot, you can see the towering sandstone monoliths in Capitol Reef National Park several miles to the west. On the north side of the road, collecting can begin next to the road and continue up the hillslopes. Scattered on the gray- and brown-colored hills are pieces of agate, chert, jasper, and petrified wood, as well as large black boulders deposited by ancient streams. The agate and chert at this location are white, gray, green, purple, orange, and red. 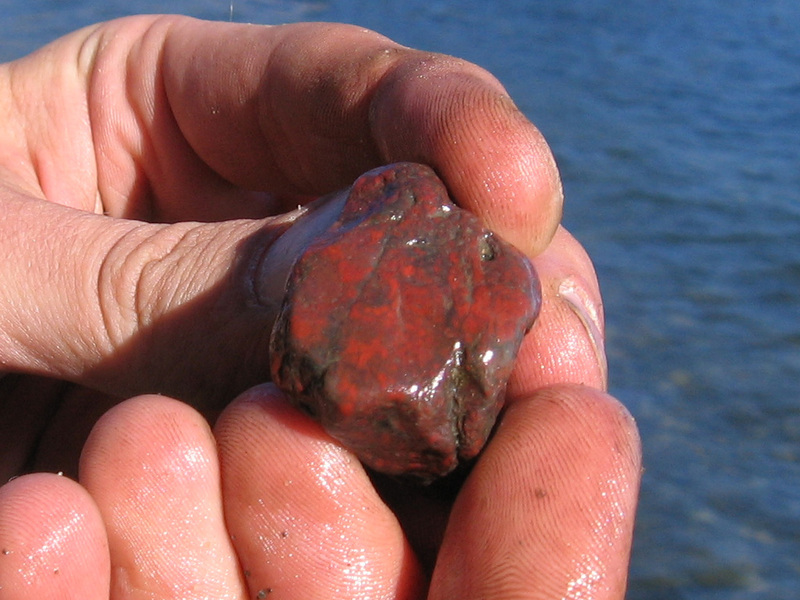 The jasper is typically red due to iron content. Many specimens are broken nodules or pebbles. The petrified wood is tan and found in small pieces. Petrified wood is more difficult to find, probably because the larger specimens have already been collected. Loa 1:100,000-scale metric topographic map. 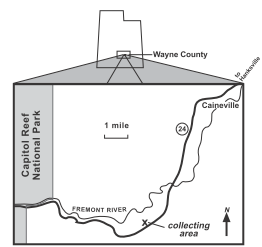 Caineville 7.5-minute topographic map. Easy parking can be found off the road. Specimens can be found within yards of your car, or you can hike up the hills. A hat and hiking shoes are recommended. Have fun collecting!